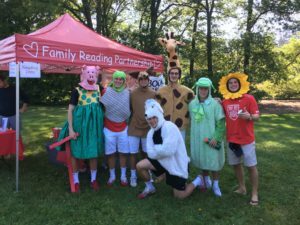 On September 24th, 2017, the Mario St. George Boiardi Foundation and the Cornell Men’s Lacrosse team came together to present the 21 Run for the thirteenth year in support of family literacy. The weather was beautiful and there was a great turnout. Runners young and old, plus a few on four legs, made this year’s event a success! Family Reading Partnership provided crafts and stories, while CU students and lacrosse players dressed up in costume to entertain onlookers. The 21 Run is a 5K Run/Walk at the Cornell Botanic Gardens in Ithaca, NY that honors the life and legacy of George Boiardi, a member of the Cornell Lacrosse Class of 2004. All funds raised at the event are used to support the programs and causes that were close to George’s heart. The proceeds of the 21 Run are passed onto the Ithaca Family Reading Partnership to promote family literacy. Read more about George Boiardi and the 21 Run. 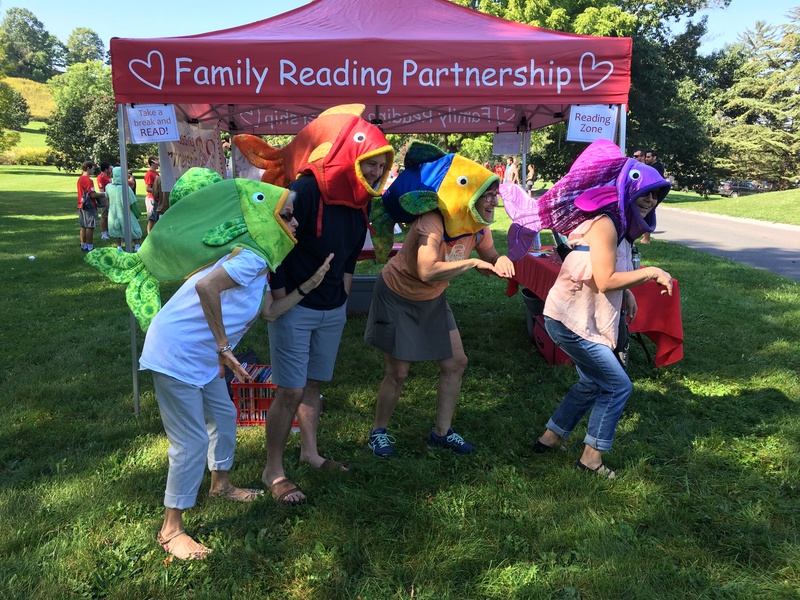 Family Reading Partnership staff and board members get into the fun! Thank you Cornell LAX and the Boiardi Foundation for supporting Family Reading Partnership and promoting reading aloud to young children!